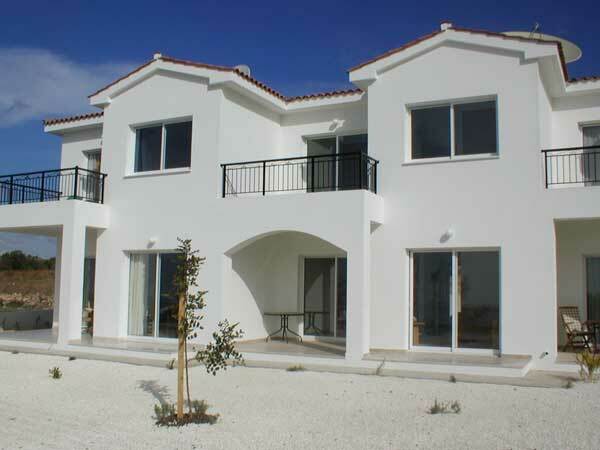 This brand new two bed-roomed two-storey villa is situated on a small complex of just eight villa's. The complex is just a 5 minute stroll to the picturesque Tala village square where you will find numerous tavernas, restaurants and a small grocery shop. The villa sleeps up to 4 people. It features two double bedrooms, one with double bed and the other with two single beds both with patio doors opening on to a large adjoining balcony. A master bathroom completes the first floor. 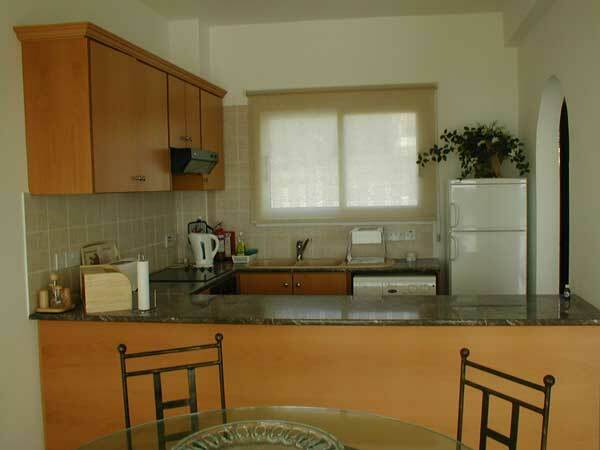 The ground floor has an open plan lounge and dining area There is also a washroom and toilet. Two patio doors lead onto a furnished patio area for your al fresco dining overlooking the communal swimming pool. 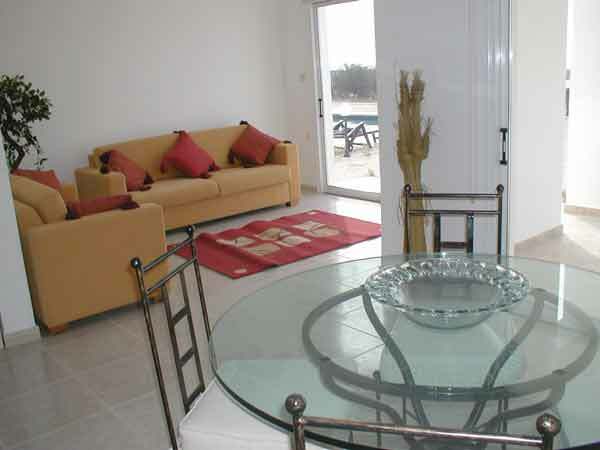 The sun terrace and pool are equipped with patio table and chairs and sun lounges. All in beautiful gardens. 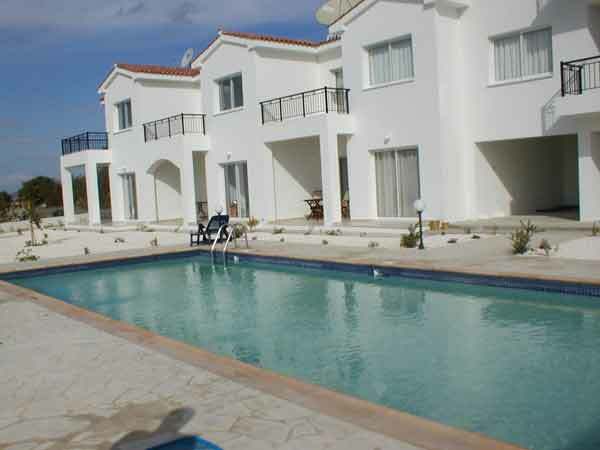 The villa is fitted throughout with ceiling fans for your comfort during those hot summer months. Satellite TV, CD & Cassette Player, Iron, Ironing Board.